Kabo Air, MaxAir, Hak Air and an unknown carrier called Service Air have signed a $60 million maintenance contract with GMF AeroAsia. The Indonesian company will service the aging fleet of the Nigerian airlines. The four B737-400s acquired by start-up airline Hak Air are 19 years old, while the age of Kabo Air and MaxAir’s B747s ranges between 21 and 26 years. The House of Representatives insists on banning Dana Air and firing NCAA’s MD Harold Demuren, who defended the re-certification of the airline. The Federal Airports Authority of Nigeria (FAAN) will start scraping old airplanes that are abandoned at airports next week. The NCAA has expanded and revised a part of the civil aviation regulations. Some controversy over the acquisition of new trainer aircraft for the International Aviation College, Ilorin. It’s not clear whether the aircraft will be financed by the Federal Government of by the Kwara State Government. The Central Bank of Nigeria has increased the Airline Intervention Fund to give the sector a boost. The Nigerian Airspace Management Agency (NAMA) has approved night flight operations at Uyo Airport. The expansion of the airport will be ready in 2015. The FAAN has yet another conflict with a concessionaire about a plot of land at Lagos Airport. Flights were delayed in the past week due to the Harmattan haze. Dana Air has added a fourth, early-morning flight between Lagos and Abuja on weekdays. The Nigerian Air Force took delivery of a Hawker 4000 (5N-FGX; ex-N466HB). 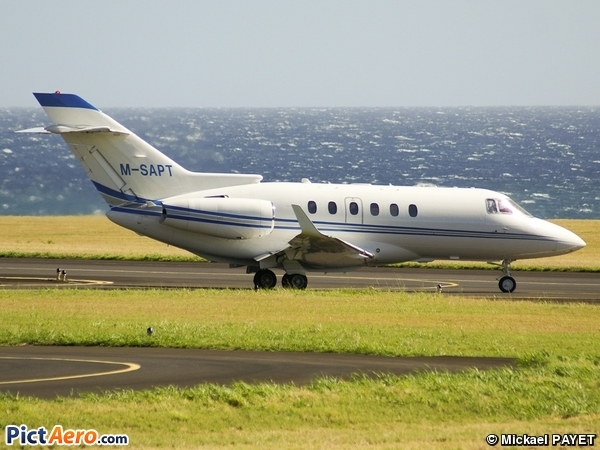 The aircraft was acquired as part of the renewal of the Presidential Air Fleet; it replaces a Hawker 800 (ex-5N-AGZ; now 5N-BOO). Caverton Helicopter’s new Dash 6-400 Twin Otter (5N-SHE; ex-C-GUVA) is on its delivery flight from Canada to Nigeria. TopBrass Aviation will likely get a third Dash 8-Q300 (5N-TBA; ex-5N-BIA). The aircraft is currently stored at Maastricht, but flew in Nigeria in the past with Aero. Overland Airways’ second ATR 72-200 (5N-BPF; ex-F-WNUF) was spotted in Toulouse. The B737-800, reportedly, destined for Overland is still stored at Shannon. No date has been set for the delivery of Arik Air’s A330s. Kabo Air was to get a B747-400 (N135KB), an ex-Corsair aircraft, but is unable to finance the necessary maintenance checks. Serious complaints were made about the management and solvency of Kabo Air and MaxAir on a pilots’ forum. No news about the start-up airlines Azman Air, Discovery Air, and Hak Air. Discovery Air is set up by First Deepwater Discovery, of which Babatunde Babalola is the MD/CEO. Discovery Air is sourcing B737-300s. The B737-200F (5N-BMS) operated on Wings Aviation’s AOC belongs to the former MD of Wings, Nogie Megginson. He also intends to set up a new commercial airline called Jedidiah Air (Jed Air). The Nigerian Air Force is sending Alpha Jets (NAF 452 and NAF 455) and MI-35s to Mali, while a C130H and G222 are used for transporting troops. 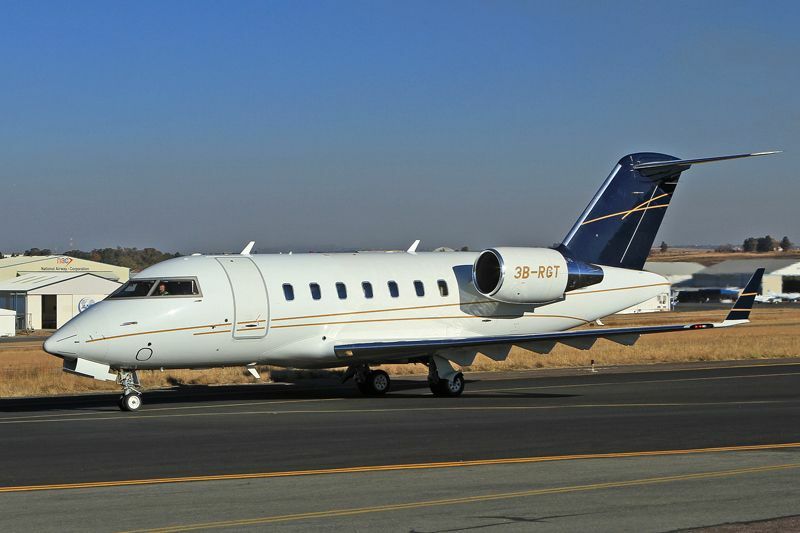 In recent months, wild guesses have been made in the Nigerian press about the number of private and corporate jets based in Nigeria and/or owned by Nigerians. The NCAA will not provide the accurate numbers, but a list of identified active private and business jets is provided below. The list is not complete and might not be entirely accurate, but it does show that the numbers circulating in the press are slightly exaggerated. Updates, additions and corrections are appreciated. 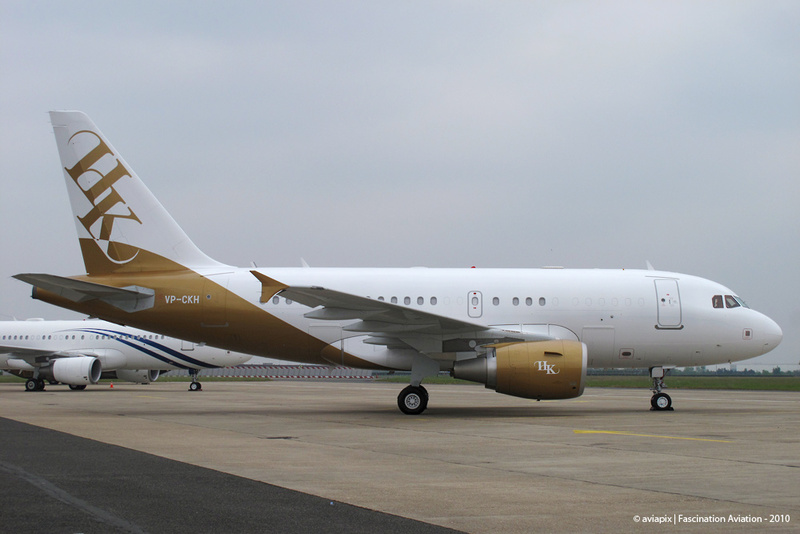 Please note that various foreign charter companies are also active on the Nigerian market, such as VistaJet, Hangar8, Empire Aviation Group, Elit’Avia, FAI rent-a-jet, National Airways Corporation, TAG Aviation, AVjet Corporation, and AmJet Executive. Their aircraft are not included in the list above. The same goes for the foreign registered aircraft operated by JetAlliance (Austria/Germany) for Prime Air Services and Izy Air. Reminder: If you cite this blog, be certain you provide a link to your source and add to the information provided by your source, rather than simply copying it. MaxAir signed a deal with Alsalam Aircraft Company to carry out maintenance on its fleet of four B747-300s and one B747-400. The airline specialises in Hajj charter flights, and having a Saudi Arabian maintenance provider helps the Nigerian carrier ensure the appropriate inspections are in compliance with the Saudi General Authority for Civil Aviation. MaxAir is owned by Alhaji Dahiru Mangal, and the airline also operates an Embraer Legacy 600 jet (M-ANGA) and a Learjet 45 (5N-LDM). The National Hajj Commission of Nigeria (NAHCON) announced that six airlines are approved by the Federal Government for this year’s Hajj pelgrimage. Kabo Air, MaxAir, Med-View Airline, Meridian Airlines, Tradecraft Air and Ethiopian Airlines are the selected carriers, while Hamsel Air Services and Aero Aviation Services will serve as back-up charter airlines. Furthermore, Med-View Cargo, Evergreen and White Aero Ventures are chosen as carriers for the pilgrims’ excess luggage. Around 95,000 pilgrims will be travelling from Nigeria to Saudi Arabia in the last week of September and in the first week of November. Arik Air will suspend its Abuja-London service again per 25 March. Apparently the slot issue at London Heathrow has not been resolved. Arik Air has ferried one of its CRJ900 aircraft (5N-JEC) to Arkansas for maintenance recently. SkyBird Air will soon take delivery of its first Dornier 328Jet (5N-BMH). DANA will also accept a new Dornier 328 aircraft (5N-DOW / ex-D-CASI) soon, after selling some of its aircraft last year. Air Taraba’s EMB145 has received its livery (without titles yet) at Bournemouth; the aircraft will be registered 5N-BOZ. A police helicopter (a Bell 427 that joined the fleet last year; 5N-POL) crashed near Jos on 14 March. The Airwing of the Nigerian Police also acquired a Cessna Citation XLS (5N-HAR) new last year. Shell has given Caverton Helicopters a loan of $85 million to upgrade its fleet with six AW139s. Caverton will from next month expand its operations to Cameroon, signing a five-year contract with the Cameroon Oil Transportation Company. Air France will resume flights from Lagos to Abuja from June 2012. It will be the airline’s third destination in Nigeria. Enugu Airport will be closed for traffic for three weeks from 18 March (now postponed to April), to enable the installation of runway lighting. Bauchi Airport has re-opened after a year of renovation works. Kano State Government has appealed to KLM to shelve plans to suspend operations at Malam Aminu Kano International Airport. FirstNation Airways have commenced a daily Abuja-Port Harcourt service from 14 March. Allied Air Cargo continues to lease two MD11Fs from World Airways along its own four B727Fs. 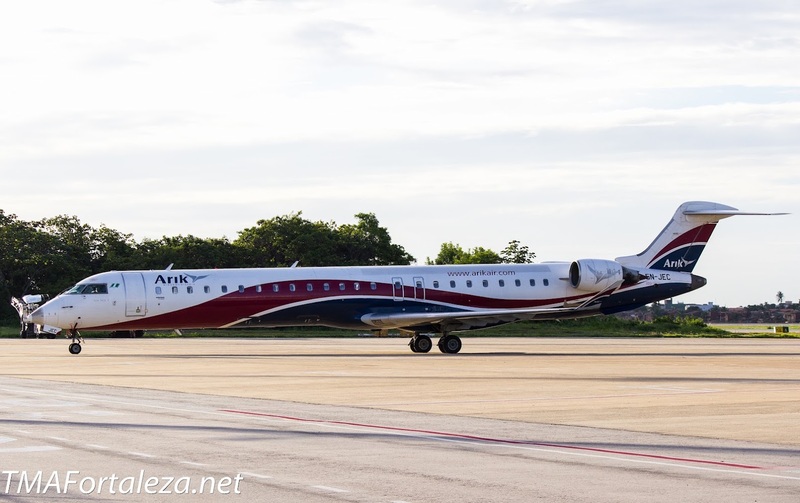 Associated Aviation still operates an ERJ-145 (5N-BJM) leased from the Bauchi State government. 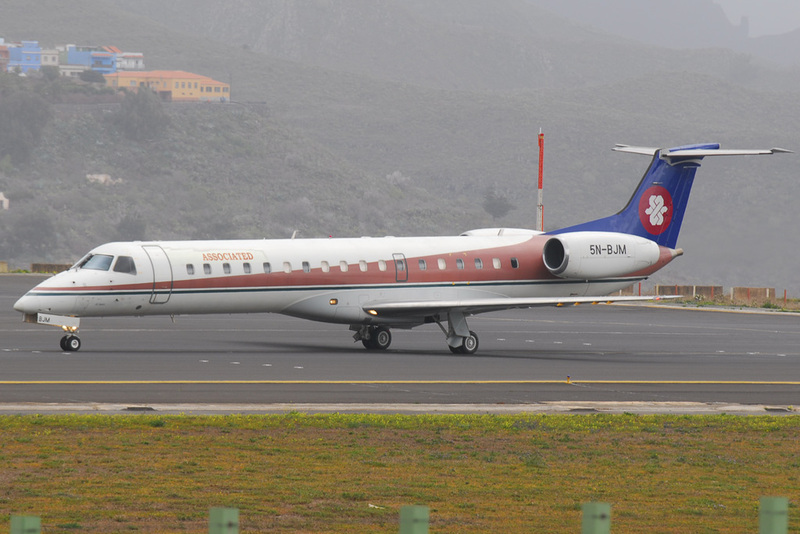 MaxAir has acquired a Embraer Legacy 600 (M-ANGA) for its charter operations. The airline also operates a Learjet 45 (5N-LDM). MaxAir announced it will fly 36,000 pilgrims (43% of the total number) to Saudi Arabia this year, following the allocation by the National Hajj Commission of Nigeria (NAHCON). The airline will use its three B743 aircraft for the operation and keep a fourth as standby aircraft. Kabo Air, Meridian Airlines and Medview Airline will be responsible for carrying the remaining Hajj pilgrims. Meridian and Medview will have to wet-lease aircraft for this end, while Kabo Air may employ its B742 aircraft. The Federal Government has approved Kabo Air, MaxAir, Meridian Airlines and Medview Airline as official carriers to airlift Nigerian pilgrims during the Hajj of 2010. IRS Airlines has a booking website again. Arik Air postponed the introduction of the A332 due to regulatory issues. Air Nigeria’s first newly branded aircraft (5N-VND) returned to Lagos last week. Jimoh Ibrahim declared that in a few weeks, the airline would have liquidated all its debts. Air Nigeria also announced it will add five aircraft to its fleet before October. The Bangladesh Ministry of Aviation blocked the extension of the lease of a Kabo Air B747-200 by Biman. A Max Air B747-300 carrying Ghanaian football fans was grounded at Johannesburg after it entered South African airspace without approval. Tradecraft Air – New Charter Airline? Last year an airline called Tradecraft Air (sometimes referred to as Trade Craft Air) was designated to carry pilgrims from Ilorin and Lagos to Jeddah. Reportedly, the company used two leased B767s. Tradecraft Air now appears to have acquired a B767-300 of its own. This means that the airline joins Kabo Air and MaxAir as pilgrims charter carrier in Nigeria. Update: it’s an ex-Delta B767-300 (serial 23436). Apparently, MaxAir also operates a B732 (5N-BLY). This airplane is very likely an ex-Nigerian Airways (5N-ANY (cn 22773/893)) aircraft and sold by Arik Air to MaxAir. Note: Kabo Air also wet-leases a B763 from Icelandair for scheduled operations from Abuja and Kano to Cairo, Dubai and Jeddah.